*Appointments required for gown try-ons. Nestled along Connecticut's "gold coast," Westport has long been a fashionable escape for artists, musicians, and authors, from the likes of F. Scott Fitzgerald and Paul Newman to Nile Rodgers and Martha Stewart. Our store occupies the storied Bedford Mansion and a former gymnasium, built to house the local YMCA. 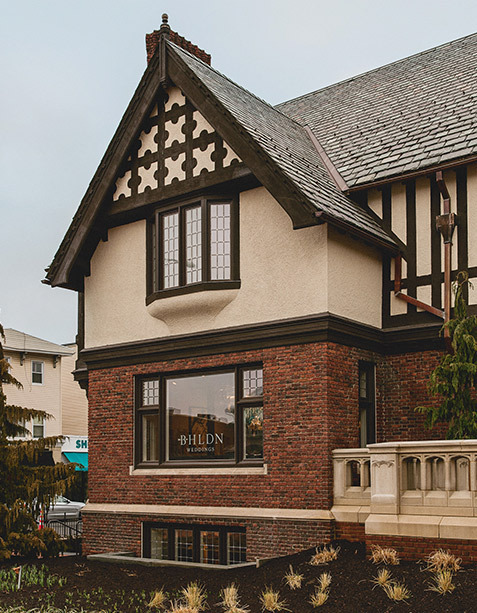 Blending stately Tudor architecture with modern, LEED-certified restoration, the store showcases a concrete and steel staircase with artful, lace-inspired detailing. An impressive skylight fills the space with natural light. In remarkable contrast to the mansion's residential scale, the attached gymnasium boasts soaring ceilings, exposed joists, and preserved brick walls. Outside, Westport's charming downtown shopping district awaits. 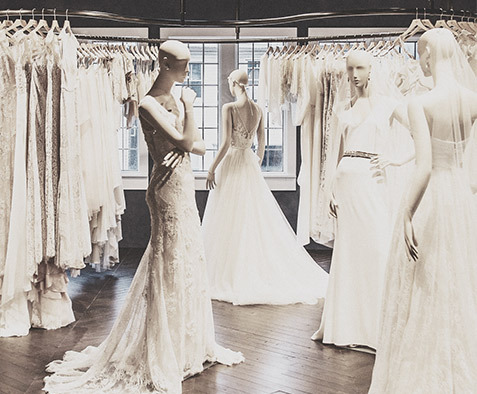 Our fave places to shop, eat at, and visit on Pinterest.